On board the P&O's eight magnificent superliners you make the choices. This is your holiday after all. You can enjoy a spontaneous modern holiday. Or you can experience cruising with all the traditions. The quality of service and attention to detail let you experience a world that is both carefree and tailored to your needs and aspirations. You can explore the world with us at the same time as experiencing the very best of British. Tate Modern and Tate Britain present Tate Talks and creative workshops on selected holidays. There’s the opportunity to dine in restaurants created by Atul Kochhar and Marco Pierre White. And children will love appearances from Noddy and Mr. Bump from the Mr. Men Show. Contemporary cabins and suites complement Arcadia and Oceana’s modern outlook. With everything you could possibly need on hand, your room will serve as a welcoming haven. Modern artworks adorn the walls. A sparkling private bathroom is kept spick and span and stocked up with fluffy towels courtesy of your cabin steward. And many cabins come with their own balcony so that you can enjoy a continental breakfast or an intimate nightcap in the privacy of your own space. Even better, the scenery is ever-changing! Stylish and contemporary, Arcadia and Oceana are made for living life to the full. Choose from child-free Arcadia or family-friendly Oceana and you will find the choices certainly do not stop there. 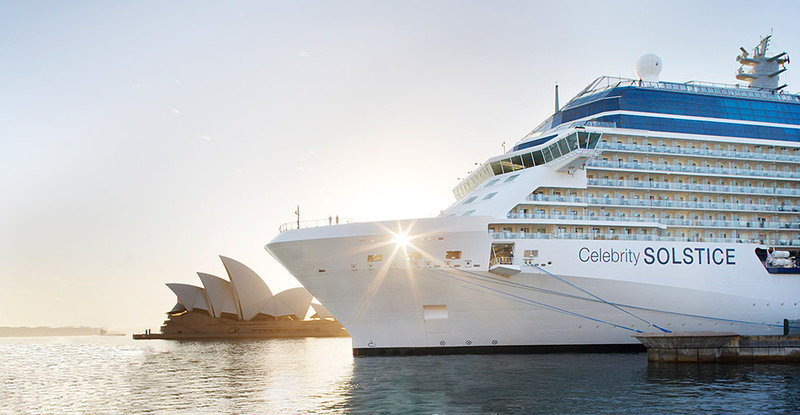 Packed with opportunities for relaxation, rejuvenation and socialising, this is the modern face of cruise travel. These ships have every contemporary facility you could wish for. Excellent spa and gym facilities make them havens for well being. A selection of stylish bars and restaurants offer a venue for every mood and taste. Inviting pools and expansive decks provide the perfect place to unwind. Arcadia’s New Horizons programme offers new ways to enhance your time on board. And evenings come alive to the sound of music, the murmur of conversation and the ring of laughter. Contemporary theatre, comedy, live music, a real pub, cabaret and a lively nightclub present a dazzling array of options. Life on board these superliners can be especially flexible and spontaneous. New Freedom Dining enables you to dine when and with whom you choose. So, if you like to take each day as it comes, these ships could be exactly what you are looking for. There’s also traditional Club Dining in the main restaurant at the same time and table each evening. A great way to really get to know your dining companions. And Select Dining venues provide a change of scene, cuisine and ambience. Sociable, friendly and upbeat, these superliners are especially suited to newcomers to cruising and anyone that loves having choices in abundance. The staff aboard our ships are known for their attentive and discreet style of service. British Officers and a long-serving crew assure a friendly and familiar environment. And from cabin stewards to reception staff and waiting staff, you will find P&O Cruises staff are always willing to go that extra mile. Attention to detail and efficiency are of the utmost importance to P&O Cruises and you will find the staff have been trained to provide the very best standards of service. Both ship and shore-side staff adhere to the ‘CRUISE’ ethics of service. This code of conduct emphasises the importance of P&O Cruises staff being friendly and welcoming and willing to go that extra mile. After all, P&O Cruises realise that it can be the little details that make a big difference to your holiday experience. Seeking a charmingly authentic style of cruise holiday? Aurora and Oriana are an expression of P&O Cruises long cruising history. Refined and elegant, their broad teak decks, tiered stern and traditional artworks capture the romance of cruise travel. Designed for speed, these elegant superliners can take you to many ports in one holiday. Perfect for world voyages, for long and leisurely cruises to the Mediterranean or for exploring the historic sights, natural splendour and rugged coastline of the United States and Canada. Both ships boast excellent children’s facilities, making them a great choice for families. But whether you are travelling with children or not, there are endless diversions. Savour a coffee and handmade chocolates in the tasteful surroundings of Raffles or Tiffany’s. Try your hand at shuffleboard out on deck. Recline on deck with a book from the on board library. Enjoy a work out in the well-equipped gymnasium. After all, these ships were made for relaxing. These classic superliners embrace the glamour of evenings. You can enjoy the special setting and camaraderie of Club Dining in the main restaurants or opt for a different time or venue with Select Dining. Later, drink in the ocean views at the Crow’s Nest. Take a jaunt to the theatre. Or kick back and enjoy some cabaret or comedy in the showlounge. Every night will be magical on Aurora and Oriana. Live the day your way on these contemporary superliners. After all, choices abound. You can surf the net in the cyb@study, tour Arcadia’s impressive art collection, improve your golf swing on Oceana’s golf simulator and enjoy some retail therapy in the on board shops. Stylish lounges and cafes invite you to relax with a speciality coffee and magazine. Children’s clubs offer a whole host of activities. And Arcadia offers a New Horizons programme to enrich your time on board still further with a range of workshops hosted by experts and guest speakers. Dining on Arcadia and Oceana is wonderfully flexible. Stylish restaurants, bistros and cafe's, 24 hour dining and al fresco venues pepper your days with variety. Formal or delightfully casual and spontaneous, the style of dining is up to you. Poolside, buffet-style or in the main dining rooms, breakfast and lunch can be as instant, leisurely or extravagant as you please. By evening P&O Cruises Dining Choice offers a choice of dining style. And tantalising cuisine will have your taste buds tingling. Opt for Club Dining in the stylish main restaurants. Opt for Freedom Dining to dine when and with whom you wish. And sample Select Dining venues for a change of ambience or even company. The smallest of P&O's seven ships, Adonia is designed to offer a delightfully intimate cruising experience. Radiating small ship charm, she carries just 710 passengers. What this means is that in no time at all you’ll experience the cruising camaraderie that comes with being surrounded by friendly, familiar faces. And thanks to her small size, P&O Cruises Adonia is a pathfinder ship, exploring ports the larger ships of today are unable to visit - with 75% of her staterooms featuring a balcony, the views are second to none. With wood-style panelling, a grand staircase and traditional artworks, her ambience and décor are in keeping with the traditions of cruising. Yet being a 21st century ship, (she was built in 2001) there is modernity to her detailing, all of which is beautifully crafted. Her Crow’s Nest offers far reaching views by day and live music by night and Anderson’s bar feels reassuringly British. In her grand lounge, the dance floor plays host to an elegant waltz or cha-cha-cha and its stage presents a wide range of evening entertainment, from shows to classical recitals. There is dining overlooking the wake and evenings with after dinner speakers. There is a card room with panoramic ocean views, ample sunbathing space and restaurants which include Sorrento, the Ocean Grill and six course silver-service in the elegant Pacific Ocean Dining Room. And of course being smaller, everything on the Adonia cruise ship is just a short walk away. Dining also takes centre stage on board. In addition to three main restaurants offering a choice of Club Dining - the same table at the same time each evening, and Freedom Dining - no fixed seating or dining times, there’s the opportunity to visit the Select Dining venues of Sindhu, the first restaurant at sea from Michelin starred chef Atul Kochhar, Seventeen, where a sense of occasion is always on the menu, and The Glass House, a wine bar and restaurant created in partnership with TVs Olly Smith. If you value your health and well being, you will be pleased to know we do too! With an ocean-view gymnasium, fitness classes and a luxurious spa and salon on both superliners, keeping ship-shape during your holiday is easy. Relaxing treatments help you unwind. Sparkling pools and jacuzzis soothe the senses. And crisp salads, pasta and fish dishes mean there’s always a healthy option on the menu. There is always something to celebrate when you are travelling with P&O Cruises. And whether it’s a birthday, you simply want to let that special someone know how much you care, or to add an extra special touch to a great holiday, you will find our occasion and gift packages offer all you need. Including luxury items such as hand-finished chocolates, spa treatments and champagne, P&O Cruises can offer you the perfect package. Celebrate your honeymoon or anniversary in pure style with our free Honeymoon and Wedding Anniversary Collections. Including everything from fresh flowers in your cabin to champagne and a formal portrait photograph, there’s no better way to remember your special day. You can even rekindle that spark and renew your vows on board.